Industrial executives are optimistic about the high potential of IIoT, regarded as a driver for industrial growth. Although there is a certain level of caution when it comes to large investments in Industrial IoT technology, the number of deployments is steadily growing. IoT is no longer considered just a buzzword or blue-sky thinking. Now there are many IIoT projects going live, addressing real-time situations aiming at solving industrial problems, even though it will still take some time for large-scale validation and adoption. The global IoT market is expected to grow from $157B in 2016 to $457B by 2020 . The numbers speak for themselves about the potential of the IoT market expansion, where industrial manufacturing and automotive are predominant. Despite the favorable forecast, technical, cultural and business challenges still exist. There are aspects that are still stalling a complete adoption of IIoT across industries, such as getting industrial machinery, especially older ones, connected, having compatible protocols across connected units for a standardized data exchange or aligning predictive analytics with industrial processes and human interventions. If we consider the old saying “knowledge is power” and adapt it to the present, I would say that connection and analytics are the new power. 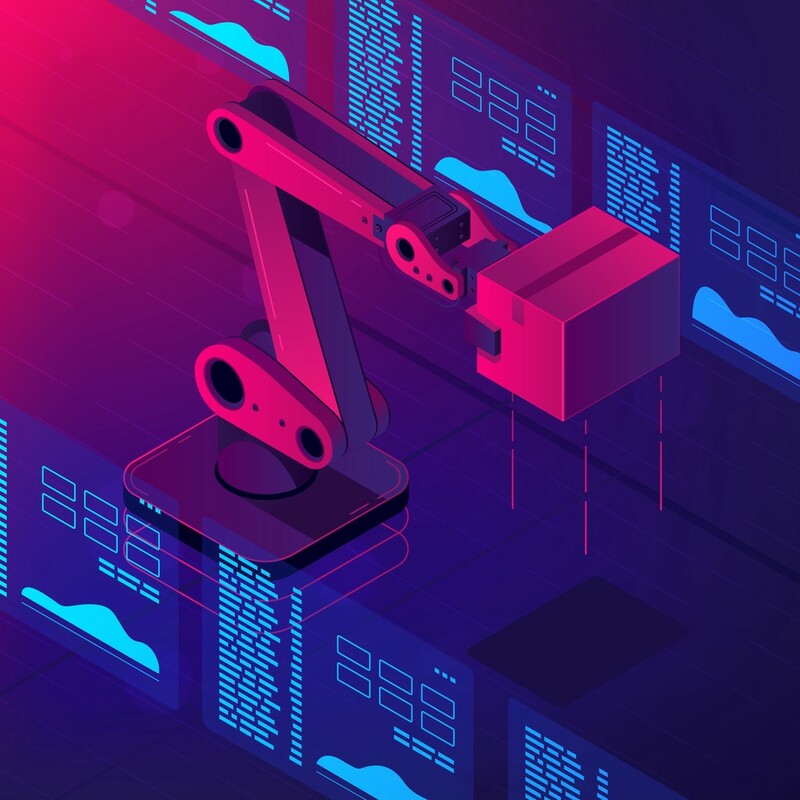 When it comes to connected smart industrial machinery backed up by analytics engines, the value lies in data. This abundance of information is possible only in a Cloud Connect and Analytics implementation, without managing hardware or infrastructure. For a 360° perspective, let’s take a look at the following use cases. The difference in benefits and savings to a typical complete mechanical filling machinery reveals why designing such industrial equipment with sensors and connecting them to analytical platforms progressively becomes a best practice. When industrial cranes break down, so does productivity. However, if we connect them to IIoT cloud-based platforms, where Predictive Analytics services are embedded and available, malfunctioning can be prevented. Industrial mobile cranes are designed with features that can handle enormous load capacities. Producers of such machinery have to be highly creative for such cranes to deliver maximum load capacities with various ballast radius, making them perfect for use on constricted sites with a small ballast radius. Just by considering this particular aspect, we realize the amount of continuous monitoring and learning from environmental data that takes place. Operating data coming from all systems that form the machinery’s ecosystem leads to the ability to predict situations at risk due to the IIoT Cloud Connect solution integrated with the IoT Analytics platform. Regardless of the technology of choice, IIoT Cloud Connect and Analytics is a fully managed service. It operationalizes analyses and scales automatically. It supports enormous volumes of data, up to petabytes of IoT data. In the case of cranes’ engines and environment, especially when referred to longtime functionality, the volume of streaming data that needs storage, processing and analysis becomes an important parameter. With such an Analytics platform, we can analyze data from a multitude of connected crane engines and build fast, responsive applications having predictive maintenance features embedded. The unique thing and the beauty of such an approach are that the ML/AI algorithms that back up a predictive maintenance app for a distributed crane fleet will learn from all engines being exposed to different situations. Standardization is one of the most critical hurdles of the IIoT evolution. The industrial IoT promises billions of connected devices which in turn require common standards to operate with a proper, manageable and scalable level of complexity. Without globally accepted and adopted standards across industries, which stand for automation, quality of service, interfaces, data repository and associated analytical services, the complexity of devices that need to connect and communicate with each other will not grow exponentially. So, this step will be crucial for having IIoT as standard data and analytics practice in the industry. Until now, only a few organizations have been responsible for defining machine-to-machine (M2M) protocols. These protocols ended up in what seems to be the next era for Industrial IoT. There is a direction towards defining a common standard stack by international standard organizations such as ETSI, IEEE, IETF, CEN/ISO, CENELEC/IEC, ITU-T, OASIS, OGC and onem2m. So, clearly, there are a few steps to be taken before IIoT will be adopted as a standardized solution across industries. However, despite the early stage of standardization in the field of connected devices, Data Analytics with its important application on predictive maintenance will grow in the meantime. The main reason is that Data Analytics main development tools like Python, Spark, R or Scala are being naturalized into cloud-based deployment platforms such as MS AZURE or Amazon. All signs point to a clear trend across industries indicating that Predictive Analytics is employed to deal with maintenance and optimization issues.